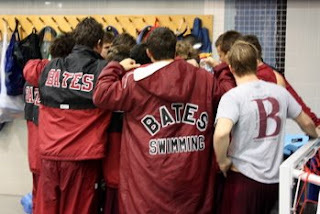 The Bates Swimming and Diving Team has simply had a very impressive last three meets. No two ways around it. 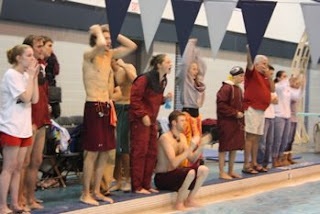 There have been some exceptional swims, some fantastic diving performances, and ultimately a ton of good times and scores. Simply put, this team has learned how to always fight. Even if disaster strikes, or sickness and injury has crept in, and race or performance becomes a struggle - "they have struggled with style". 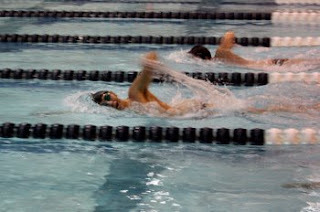 They continue to swim tough and splitting their races correctly. 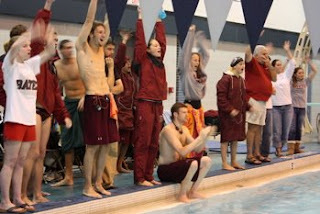 We have seen lifetime bests, in-season gutsy swims, and NCAA consideration performances. 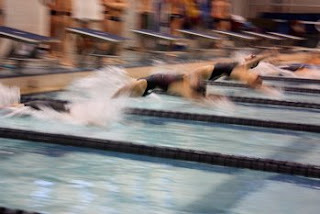 We have seen pool records set at every home meet, victories against top competition, and come from behind performances. If anyone is looking for inspiration during a difficult and long season - or even a difficult week or few days - they need look no further than their own teammates. Gone are the days of looking at other teams and wondering, "how do they do it?" - it has been our turn this year to look at ourselves and think, "It's my turn to do it"
I told the team last week that "IT IS TIME." This is the fun part of the year - and this is the time to be 100% engaged, enthusiastic, and on a mission. We are seeing that. 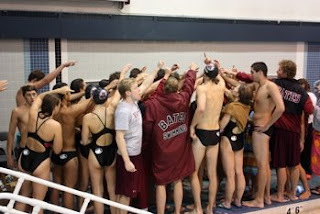 Look below to see the program's improvement from a team standpoint. It's impressive. 2008 Women 148-73. 2009 Women 147-141. 69 Point Improvement! 2008 Men 169-69. 2009 Men 179-105. 25 Point Improvement. 2008 Women 174-120. 2009 Women 167-127. 35 Point Improvement. 2008 Men - 200-78. 2009 Men 155-115. 82 Point Improvement! 2008 Women 189-108 2009 Women 188-105. Pretty much even. 2008 Men 155-89. 2009 Men 110-170. 126 Improvement! 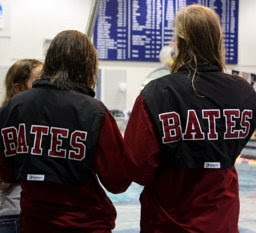 Above and below are some great pictures from our Colby meet by our very own photographer Alison Frye! Thanks!! Keep up the tough performances!! Miss the pool and food orders! Good luck with the rest of the season!! You guys are awesome! Looking forward... REALLY LOOKING FORWARD to coming up for NESCACs! 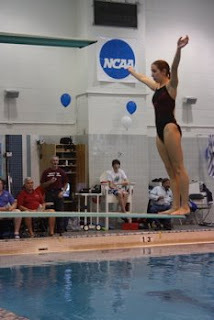 Hop, Skip and a Jump down to Bowdoin..